Winter time can be harsh, especially if one is not at all prepared for the harsh rains, sleet and snow. • The Alternator: The product was designed with those snowy winters in mind. It moves melting snow to a different area in the yard so as not to allow it to leak into the basement, which can cause a flood. It has the ability to pump three-thousand gallons of water per hour even in freezing condition. • Freeze Stop: Typically, a sump pump will simply discharge water to the outside of the home; however, when it becomes cold, exterior discharge lines freeze quickly and easily. Even though it is now frozen, the pump will continue to pump, though the frozen discharge line will cause the water to back up and flood the basement. No one wants that! The great thing about Freeze Stop is that this will never happen with it. It is literally guaranteed in writing. The sump pump will never back up due to exterior freezing again. Individuals will not have to worry about their basements flooding ever again! • Gutter Tamer: Clogged gutters lead to a flooded basement. 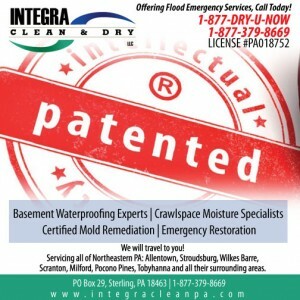 Flooded basements lead to numerous problems such as mold, smells, and ruined possessions that are stored in basements. Even if one has a reliable waterproofing system installed around their basement, they can still be at risk of their basement flooding because it will cause the system to go into overdrive. Water from the roof should always be kept away from the foundation. The Gutter Tamer was created to catch pine needles, leaves and anything else that may get caught in the gutters. Winter time can be rough on the home, and can potentially cause costly damage to that one will have to pay for the rest of the year. Using these tools, the damage can be prevented. Winter time is really a time to be cozied up to a fire place with loved ones and hot chocolate watching the snowfall, not calling for help because of a flooded basement, then worrying about mold growing in your basement and traveling into your home. Be proactive this winter and utilize these winter ready tools!